Early Saturday, a quick-burning fire in a rental house caused the deaths of nine people, two adults and seven children. This was one of the most horrific fires in the history of Charleston. All of the victims likely died of smoke inhalation. According to West Virginia MetroNews, Charleston Mayor Danny Jones and investigators say the fire moved quickly through the house on Arlington Ave. putting out a lot of smoke. Fire investigators were back at the house on Sunday working to determine the cause of the blaze. The investigation will continue on Monday. A child, who initially survived the fire, died Sunday at a Charleston hospital when he was taken off life support. His death brings the death toll to nine. All of the children were no older than eight years old. Alisha Carter-Camp, also known as Lisa Carter, perished in the blaze at a two story house she rented with her sister Latasha Jones Isabell, 24, on Arlington Avenue in Charleston. Isabell says she was outside smoking a cigarette at just after 3 a.m. Saturday morning when she noticed the blaze and ran to a neighbor’s house for help. The fire killed Carter-Camp, her children, Keahna Camp, 8, and Jeremiah Camp, 3. It’s believed they were sleeping upstairs in the house. Another son, Bryan Timothy Camp, 7, was pulled out of the home by firefighters but died Sunday morning. The blaze also killed Alex Seal, and his twin daughters, Kiki and Gigi, both 3. Isabell’s two sons also were killed. They are identified as Elijah Scott, 3, and Emanuel Jones, 3. “When the units came on the scene there was already a fire here. We had one adult female on the outside (Isabell) telling us there were people inside,” Charleston Assistant Fire Chief Bob Sharp said. The first city fire crews were on the scene within two minutes, but the house was already full of flames and heavy smoke. Arson is not primarily suspected as a cause of this fire. “We haven’t ruled it out. It doesn’t appear to be that way, but that doesn’t mean that it’s not,” Charleston Fire Dept. Lt. Ken Tyree said this weekend. Sometimes the destruction caused by the flames makes it more difficult for investigators to find out how a particular fire began, but Lt. Tyree says he doesn’t believe that will be the case with this fire. “It was a fast-burning fire. There’s a lot still intact so we feel confident we’ll be able to do well in the aspect of having an origin and hopefully a cause,” Tyree said. The fire dept. was getting assistance from the state Fire Marshal’s Office and ATF. A specially trained dog was due on the scene Saturday evening. There were only two smoke detectors in the house. One was reportedly improperly installed under a cabinet and the other was not working. A building inspector with the City of Charleston planned to inspect the house less than a month ago. Mayor Danny Jones says the inspection was scheduled for Feb. 28 as part of routine inspections the office does at rental units. He says the inspector had permission from the owner of the Arlington Ave. house, Delores Shamblin. He says Alisha Carter-Camp, one of the adults who lived there, knew about it, but it didn’t happen. “Had we been able to get in that day and had we seen the fact that they did not have the proper number of smoke detectors, we might have saved a lot of lives,” Jones said. A criminal investigation is underway. Landlords have a legal and moral duty to their tenants to maintain a safe living environment in their rental homes. City code requires rentals to have smoke detectors in every bedroom and in hallways close to bedrooms. Morgantown residents and students need to take note of the horrific destruction and loss of life that can result from fire. Morgantown police and fire departments reported over 35 intentionally-set street and dumpster fires over St. Patrick’s Day weekend, and three additional fires set last week. As we see in the case of the Charleston house fire, just one out-of-control fire can cause unimaginable destruction and devastation. Lt. Tyree of the Charleston Fire Department says there’s a tragic lesson to be learned from the blaze in Charleston. He says residents need to do all they can to prevent a fire. 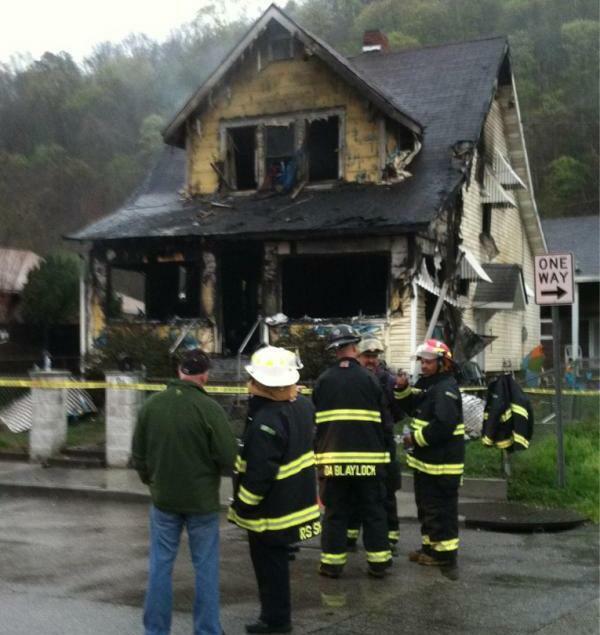 For more information regarding this fire, please visit http://www.wvmetronews.com. For information regarding another tragic Charleston wrongful death incident that could have been avoided through use of working detectors, see our previous blog about the carbon monoxide deaths at a Charleston hotel.